Please sign up and if there is no longer availability in an area you have interest in please email Cristie Rydzynski at [email protected]. 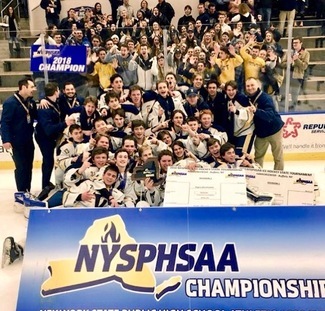 Thank you for signing up and helping to make the 2018-19 Victor Hockey season a success! Andy Mendola will coordinate program sponsorships. Help is needed for sponsorship advertising and acknowledgement. Jeff Sulecki will maintain the Victor Hockey website. Sign up if interested in learning about maintaining the website. Cristie Rydzynski will coordinate the end of the season banquet. Volunteers are needed to help with various tasks for this evening. Mike Lambert will coordinate this event. Volunteers are needed to help with this game. A volunteer is needed to coordinate Senior Night. Help is also needed for this evening. A coordinator is needed to arrange team dinners. Cristie Rydzynski will coordinate apparel purchases. Volunteers are needed to help with the distribution prior to Christmas. A volunteer is needed to set up an online sign up and coordinate game day fruit. Volunteers are needed to help with this event from 8-10am. Volunteers are needed to host team dinners during the season. If you might be interested in hosting please sign up and we will check with you on possible dates. Help is needed with arranging raffle baskets and with working the raffle tables through out the day (different shifts will be available).